Kanna, previously a Congressman, is a five-time MLA from Guntur district and has also served as a minister in the past. 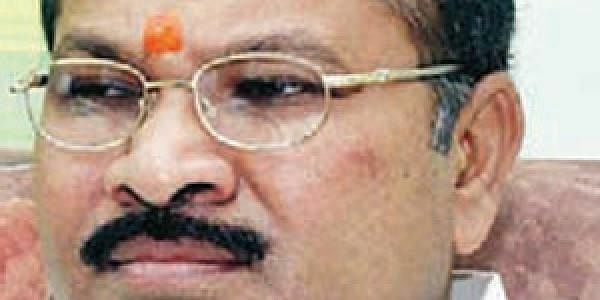 VIJAYAWADA: A day after Karnataka went to polls, the BJP has appointed Kanna Lakshminarayana as its Andhra Pradesh unit's president. The move comes weeks after it was widely reported that Kanna Lakshminarayana was quitting the saffron party to join the YSRCP. In a communique on Sunday, the national general secretary of BJP, Arun Singh, said, "The national president of BJP, Amit Shah, has appointed Kanna Lakshminarayana, ex-minister, as the state president of BJP AP." Arun Singh further said that MLC Somu Veerraju will be the state convenor of Election Management Committee. Kanna, previously a Congressman, is a five-time MLA from Guntur district and has also served as a minister in the past. After losing the 2014 elections, Kanna, who hails from Kapu community, quit the Congress to join the BJP. Speaking to the media in Guntur, Kanna Lakshminarayana said he would work towards strengthening the BJP in Andhra Pradesh. "I, with support from all members of the party, will effectively counter the false propaganda being done by the TDP against the Centre. I will also let people know what the Centre has done to AP," he said. He also thanked Amit Shan and Prime Minister Narendra Modi for appointing him as the chief of the state unit. It maybe recalled that the BJP state chief's position has been vacant ever since MP K Hari Babu suddenly tendered his resignation on April 17. With the state president position gaining significance in the aftermath of the TDP-BJP split, several names including Pydikondala Manikyala Rao, D Purandeswari, Somu Veerraju and others did the rounds. However, it is learnt that the BJP central leadership favoured Kanna Lakshminarayana's candidature given his ability to take on the TDP, and prior experience.